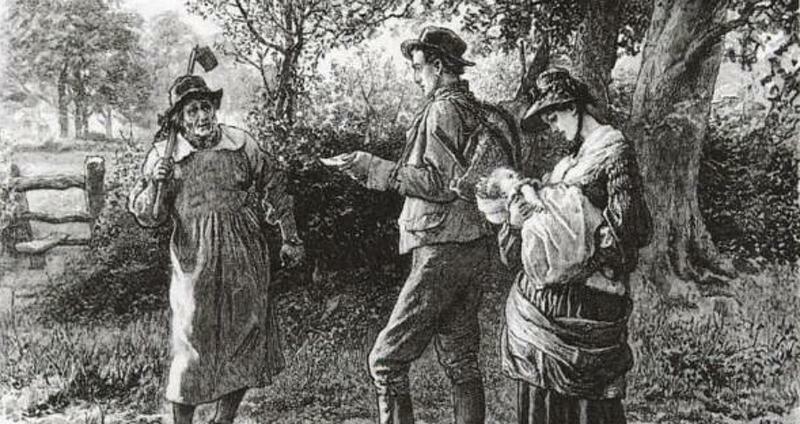 Back in the early-to-mid 1800s Europe, women and children were considered property. Men who were no longer happy with their wives or fell on hard times could easily bring their spouses to market and sell them. The practice wasn't exactly legal, but it was common among the poor so law enforcement just turned a blind eye. Wife selling was an easier and less costly alternative to a traditional divorce. Divorce required an Act of Parliament and permission from a church and this cost the equivalent of $15,000 in today's currency. 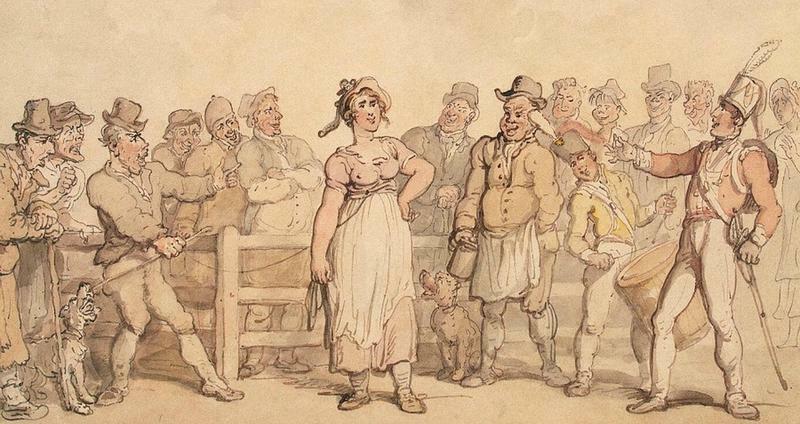 Because the average working-class man could not afford such rates, he would simply transfer “ownership” of his wife to the highest bidder in a public auction, much the same way one would sell a livestock. Women who wanted to leave an unhappy or abusive marriage could also ask to be sold and usually the decision was hers to make. If she doesn't like a buyer, she could decline. Most often, husband and wife agreed upon the terms of the sale weeks before the public sale took place. While we might think wife selling is insane and offensive today, back then marriage was an economic agreement instead of an expression of love. Before the Marriage Act of 1753, marriages didn't even require ceremonies - they were just agreements. The husband and wife would, however, be formally considered as one legal personage, with the man now incorporating the woman’s rights. While the practice of wife-selling has pretty much declined since the implementation of modern divorce courts, unfortunately this still happens today in some parts of the world. Even as recently as 2009, poor farmers living in certain parts of rural India have been forced to sell their wives to pay off wealthy money lenders.